Equifest has now firmly established itself as one of the largest competing events in the UK’s equestrian calendar. It has earned its place as a major festival favourite – fun for both competitor and visitor alike. Founded in 2008, it has significantly grown and now attracts over 10,000 riders and visitors that come each year, to compete, watch, learn and buy. Held every August at the East of England Showground (Peterborough Arena), this five-day festival, for all horse lovers, is centrally situated for all major road and rail links. Equifest has an avid and loyal following each year and we are passionate about ensuring all our competitors and visitors have fun and enjoy the spirit of our annual festival. With over 1,500 horses stabled on site, 2,550 horses catalogued, producing over 12,500 entries into a variety of disciplines – including Showing, Show Jumping, Dressage and Carriage Driving – it is a busy time for all competitors. 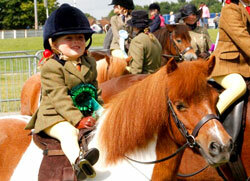 In addition we know the importance of giving a full fun-packed schedule of activity for all horse enthusiasts. For those who wish to come and watch our spectacular entertainment, learn from the experts, discover the perfect product or find a real bargain from our retail lanes, we’ve got it covered.